I really wanted a meaningful career that kept me active. What career were you in before becoming an TFS firefighter? Immediately before this role I was working as a communications officer with the TFS which involves dispatching fire crews to incidents and taking triple zero calls. I enjoyed the role but it was desk based and I really wanted to be out there on the other side of the radio. Prior to that role I worked in the Tasmanian whisky industry for around 7 years. This was a great position but again it was desk based and I was searching for something a bit more meaningful and active. I’ve been in the job for a year now, and every day, and every job I attend is different. I love working in a close knit team where we are all working towards helping the community in a wide range of circumstances. 1. Do as much research as you can and if anyone puts up their hand to help you or give you any advice make sure you take it. 2. Do research into the application process and don’t leave anything up to the last minute. 3. Make sure you are fit and willing to work in a close knit team who become like your family. 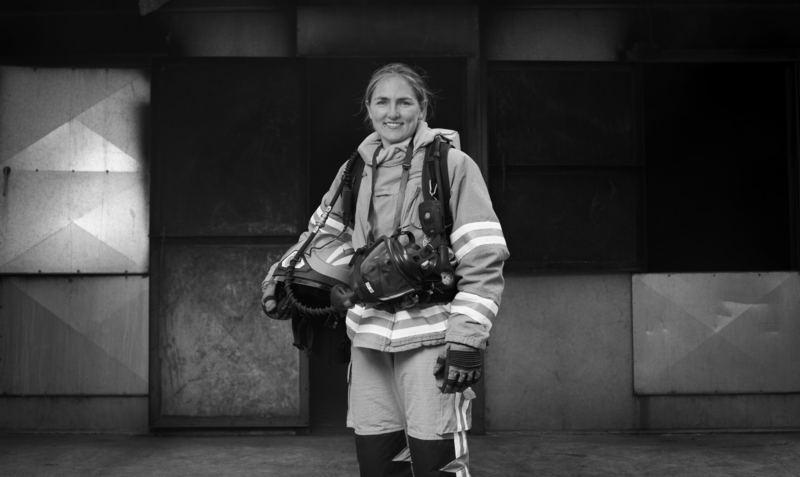 If you think your personal attributed fit the role of a firefighter, then go for it! Don’t be put off if you have applied once before and haven’t been successful – go for it again! The firefighting role is very dynamic, there are opportunities to specialise in different areas once you have achieved your core competencies. TFS has other roles that firefighters can step into, or, move to management roles once they have reached their Leading Firefighter rank. I hope to have a long career with the TFS. I’ve only been in the job for less than a year so I am focussing on gaining all of my core competencies and purely getting more experience that I can apply my knowledge and new skills to. Our holiday periods are awesome – we get a few weeks off every seven months or so. I love to travel, so we get to go on heaps of great trips during holiday periods and days off. To wind do I love to spend time with my partner and our dogs at the beach. I also love keeping fit in the gym and by any other means in the outdoors such as hiking, snowboarding and diving. Just make sure you are aware of the process, do your research and ask questions of anyone that will help.